Next up on our tour of 2018 Plantronics products lands us in the active-wear and sport realm. Plantronics rode their tried and true BackBeat FIT sport wireless headset for quite a while before coming out with the BackBeat FIT 300, which we reviewed last year right around this time. The BackBeat FIT 300 came with exceptional comfort and stability, making it an excellent wireless workout companion. Admittedly, after reviewing that product, we could not help but think about what Plantronics could do with a fully wireless solution. This year, Plantronics answers with the 100% wireless BackBeat FIT 3100 sports earbuds. The BackBeat FIT 3100 headset houses 13.5 drivers in each ear bud and employs a build that takes the soft rubber ear anchors from the BackBeat FIT 300 and the over-ear loops from the BackBeat FIT. 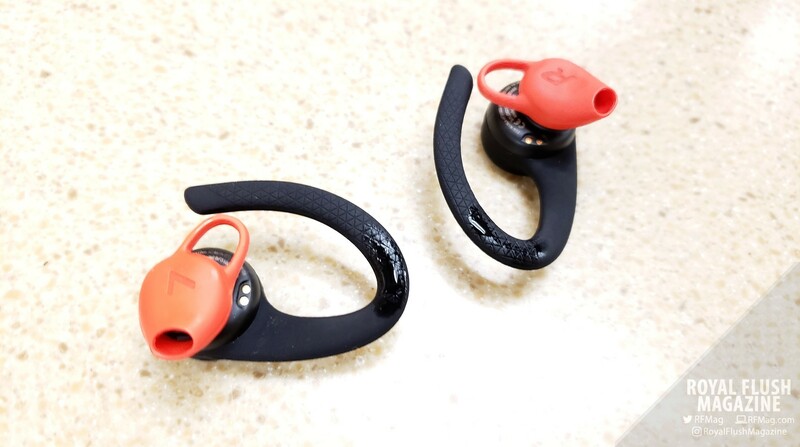 The rubbery anchors in the BackBeat FIT 3100 act more as stabilizers that work in conjunction with the ear loops to grasp onto your ear and stay in place. The headset as a whole sports a durability and resistance rating of IP57, making the headset both sweat-proof and ready for any kind of precipitation that the weather deals you outdoors. Additionally, the drivers use Always Aware ear tips that allow you to be aware of ambient noise when training outdoors. The PLT-labeled button on the right ear-bud controls media playback with Play, Pause, Forward (track), and Back (track). The left ear bud handles the volume controls via touch or can use quick access functions, which are customizable via Plantronics’ latest BackBeat app. The BackBeat FIT 3100 also comes complete with a charging shell case, which allows you to neatly stow the headset away as it charges safely in its case. The BackBeat FIT 3100 sports five hours of battery life in each ear piece, while the case gives you about 10 additional hours through recharge. In terms of comfort, Plantronics has yet again stepped up their earbud game with a wireless sport headset that is as comfortable as it is secure. The ear loops wrap around your ears gently, without pinching your ears. The Always Aware ear tips fit softly in your ears, without taking much effort to put on or take off. Despite the gentleness of the hoops and tips, the BackBeat FIT 3100 stays absolutely secure on your head, no matter what you try. After an extra sweaty workout, of which you can thank the broken AC at the gym for, I tried to shake the BackBeat FIT 3100 off my head with 20 burpies. The headset stayed put, with no hint of slipping of shaking loose, even if shook my head violently afterwards. The BackBeat FIT 3100 is ready for practically any activity you throw it at. The BackBeat FIT 3100 has a very nice and balanced sound presentation. It is not a level of presentation that I am used to hearing from active-wear or sports-focused earbuds. The BackBeat FIT 3100 delivers clean percussion through crisp highs, and a respectable amount of bass and vibrant lows. Spoken word and sung lyrics come across quite clearly as well, leading to an all-around enjoyable listening experience. The Always Aware ear tips do not take away from the listening experience either. The media playing in your ears does not get easily overwhelmed by your surroundings, whether it be on the street or in a subway train car. However, you are at least quite aware of loud or intentional attention-grabbing sounds, like car horns, sirens and the occasional incoming train announcement tones. This makes the BackBeat FIT 3100 perfect for street joggers who would need to be aware of vehicles and sounds of the like. Not that I would suggest jogging in Times Square, I did notice the headset breaking up once in a while when I was in that general area, where the music would skip. However, I mostly experienced skipping during more casual strolls through very dense public areas in the city. As those were places where it would not be feasible to jog or work out in anyways, I wrote those off as one-off hiccups. I did find the touch control for volume to be a bit tricky to manage at times. A tap raises the master volume of the headset while tapping-and-holding lowers the volume. The tap-and-hold to lower the volume was pretty straightforward since you just have to rest your finger on the button until the volume lowered. However, when I tapped to raise the volume, I would either not tap the button flush enough or with enough force, frequently causing the tap attempt not to register. If you would rather not use the touch controls for volume management, you can switch this control to “My Tap” where you can designate quick access functions to taps. Voice Assistant, Timer, Tell Time and Stop Watch were quite practical. These were handy fucntions to access without having to pull out or look at your phone directly. These are perfect for anyone who jogs outdoors, wanting to keep their eyes in front of them while having access to pertinent info. Since you have to choose whether to use volume controls or My Tap, it presented an interesting trade-off. Especially, if you have as much trouble with raising the volume as I did. When you sum it all up, the BackBeat FIT 3100 is a very solid and suggestable buy for $149.99. As far as 100% wireless sport earbuds go, the BackBeat FIT 3100 excels in comfort and build quality while giving you a great sound presentation along the way. I’m suggesting this headset to anyone looking for a 100% wireless active wear solution at a reasonable price. If you are looking for a sports headset that is ready to perform wherever you work out, then the BackBeat FIT 3100 should be the first on your list to check out. Check out the BackBeat FIT 3100, coming in gray and black, here. 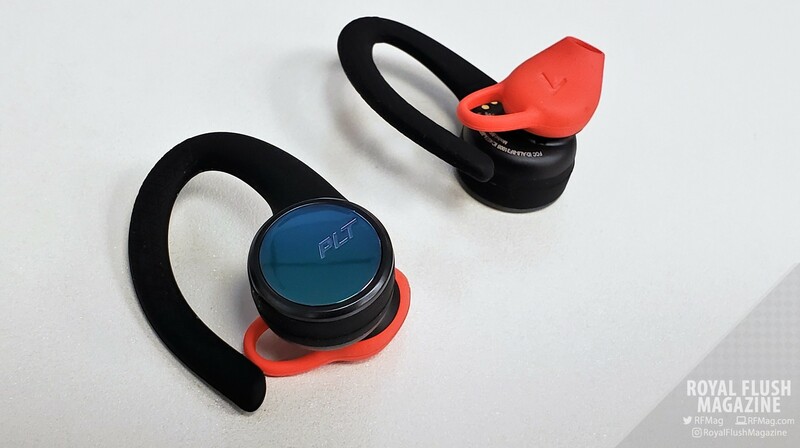 †BackBeat FIT 3100 review unit provided by Plantronics PR.